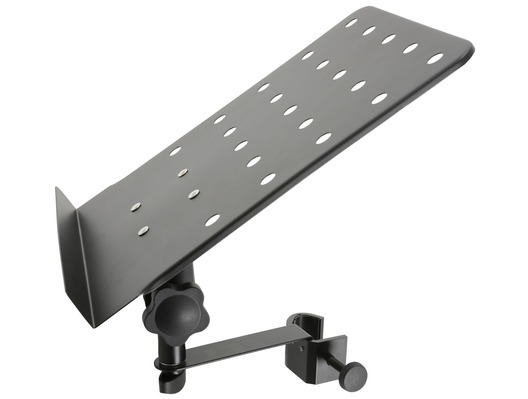 This QTX Attachable Music/Tablet Shelf will clamp onto most microphone and music stands or poles with a diameter of between 14 to 35mm. The stand is secured in place with a 'C' clamp which is easy to adjust and secure. 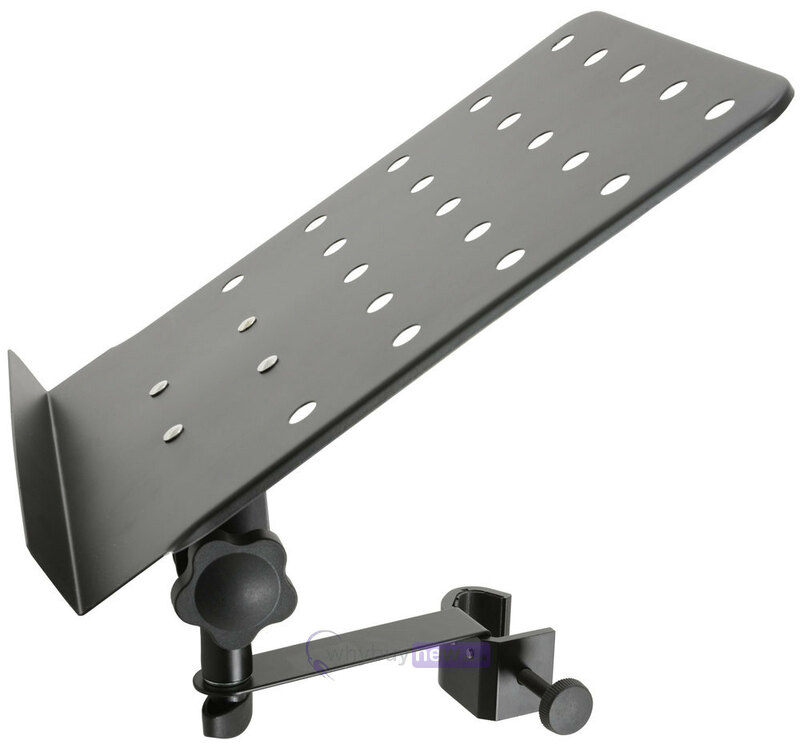 The angle of the shelf is adjustable and the stand can be moved left and right to achieve the best viewing position.